The reaction to our first podcast on sustainability for bars was so huge that we’re re-visiting the topic this week and diving deep into what we can do to reduce our impact as an industry. 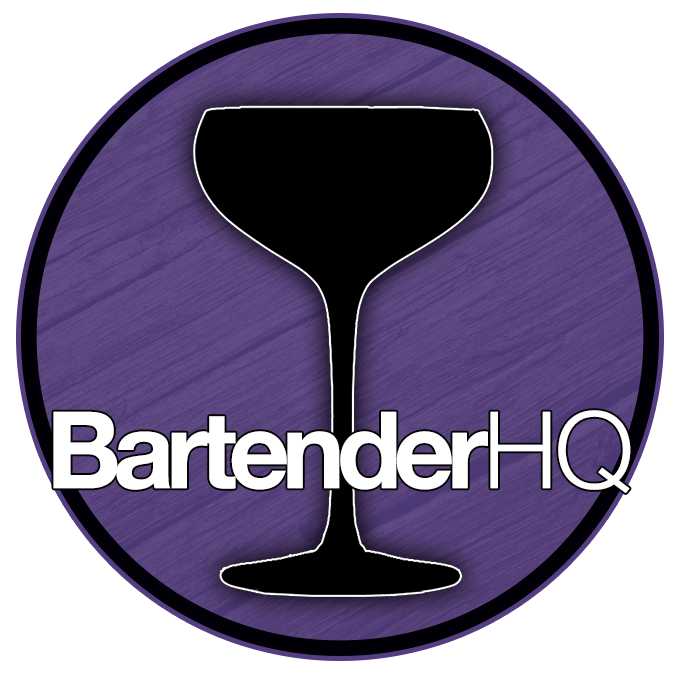 For starters, Brian Weber from the Bartender Journey podcast reached out right away, and we guested on his show to talk sustainability (hence having him as a guest here last week too!). Brian has already stopped tasting his drinks with straw dipping. Making a small change like that can be the catalyst to something much larger – even if it just serves you as a reminder to consider what can be done to bartend more sustainably. For me personally, the past few weeks of looking into sustainability for bars has been an enormous eye opener. Even with this podcast, we’re only just scratching the surface. We’re looking mainly at techniques that would fit craft cocktail bars at the moment, though many could be used anywhere. We’ll look at nightclubs and higher volume venues at a later date in more detail, however there’s plenty here that works. Straws are one of the main reasons we started thinking about sustainability in bars. Maybe it seems like a small thing, but it’s one of the easiest wins that you can do to reduce your impact on the planet.There are a number of options with respect to straws and bar sustainability. Biodegradable straws, reusable items, or even pasta as we discussed on our previous podcasts. Simply not adding the straws to a drink without them being requested will make and enormous difference to your consumption. Also, dip tasting drinks using straws can be a huge consumption. Pouring a drop into a clean glass to taste can reduce wastage drastically, though you must also take into account the water and chemicals used for cleaning when you check your carbon footprint. Glass bottles are a huge volume of the waste generated by most bars, therefore its a perfect focus for change. These can be recycled, however that still uses a good deal of energy, even if it saves the bottles from landfill or the sea. If you can reduce your consumption of glass bottles that is even better. Those bottles you must buy in could be re-used as either service vessels or for home made ingredients rather than being trashed. Options like switching to aluminium cans which are highly recyclable rather than bottles can also help. As they’re lighter too, this also reduces transport costs. Bars create food waste. That’s just a fact. Yes, there are ways of reducing this but if you’re a craft bar and you’re looking to use fresh fruit juices, then its certainly worth the effort to make use of your food waste. If you’re working in a restaurant, that means there will be even more to deal with. By simply adding a composting bin you will be able to convert your food waste from the bar or restaurant into useful nutrients. These can be used to grow fresh herbs, fruits or vegetables on site that you can use in your food or beverage program. What a great way to build a story for your guests about how your bar wastes nothing! You’ll never have fresher herbs than those you pick on site right before your shift, which will make your drinks taste even better. What a great way to talk to your guests about the story of their drinks! Of course, composting the waste from the bar is great, but if the packaging still has to go to landfill, that’s still an issue. If you’re selling frozen lasagnes and pies, there’s probably little you can do. If you’re ordering fresh produce however, why not have a conversation with your supplier. They could save money by re-using crates to deliver your produce and your business would have less waste to dispose of. Everyone (including the planet) wins! While we’ve generally been talking about reducing the use of physical products, energy is just as important to conserve. Releasing energy from fossil fuels is devastating for our climate. Simply turning off lighting when not in use can make a big difference, or using motion sensitive lighting to do this. Some bars have focused on chilling pre-batched cocktails to reduce ice consumption. I’m not convinced the savings that refrigeration makes verses ice production is probably worth some further research.Of course, re-using bottles as mentioned above is also an amazing way to reduce overall energy consumption too. Not just the energy in your business needs to be considered, but also the energy at the point of production and transportation. Producing Oleo Saccharum in your bar can be an amazing way to make use of citrus skins that would otherwise be thrown out. This could be off cuts from citrus twists or the husks of juiced citrus fruits. All of these are rich in the oils found in the skins. They’re super aromatic and flavoursome. Brian’s last podcast on Bartender Journey looked at the difference between squeezing lime juice. He tried with and without the skin as well as using mechanical juicers. Double check how your juice tastes if you want to follow the above recipe for Oleo Saccharum and juicing naked citrus. If you need to you can always add a drop back into your juice. Spent coffee grounds can be used in creating an in house coffee liqueur, saving the bar money. We’re not producing alcohol here but creating a liqueur from legitimately purchased booze, so no duty issues. Alternatively the coffee grounds make a great addition to your composter and will add vital nitrogen to the end product. Also, nice fresh coffee is great, so why wouldn’t you have plenty of this stuff around!? There’s even more ways to use coffee grounds in the garden here on Back Yard Boss. Egg whites are a staple of many cocktail recipes adding texture and mouthfeel to drinks. The yolks from these are often discarded, but can make a great addition to drinks. Set them aside for making yourself Advocaat or perhaps add some yolk cocktails to your menu. Drinks like flips or a Golden Bronx are great examples. These have a great texture and will set your bar apart as they’re pretty unusual to see. Got some beers or ales that are towards the end of their lives, or leftover solids from cask conditioned beers? There’s still loads of flavour in there so why not make some ale syrups to use in cocktails? Hops are a great bittering agent in cocktails just as they add bitterness to beer, so why not? It can add some super unique flavours to your drinks. Whether you’re making speciality coasters from sweet packets or chandeliers from liquor bottles, upcycling is a great idea. You can easily create cool decor for your bar which helps to promote your product in this way. Empty bottles can often make great candle holders or even glassware too! Sustainability for bars can be a great way to show off your creativity or allow your staff to go crazy! Aquafaba – Vegan Egg Whites? If your kitchen uses chickpeas in any of their dishes, there will almost certainly be some aquafaba available for you. It makes a great vegan substitute to egg white in cocktails, which also removes the egg yolk dilemma from earlier. You might need to reduce it down to get to an egg white consistency, but then its an interesting ingredient. You can find some ideas here. Just like ales, wines which have lost their fizz can go on to impart flavour after they’re unsellable otherwise. It can be used to flavour syrups and liqueurs easily where it would normally simply be poured away. This was one of my favourite discussions on the show. Bars use a lot of mint, so its a great way to reduce waste and get an extra ingredient. Sam suggests using a vodka to extract the flavour so why not experiment? An export strength vodka will work even better. It would also be pretty simple to make a mint syrup just as you would any other flavoured syrup. So those are our suggestions for just a few ways you can reduce wastage or consumption in your bar. We’d love to hear your ideas on Facebook or Twitter! Sustainability for Bars is a huge topic, so we’re only scratching the surface here.